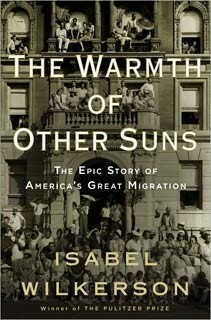 How much does the Chicago Public Library love Isabel Wilkerson's The Warmth of Other Suns: The Epic Story of America's Great Migration? It loves it so much that it not only chose it as the latest One Book, One Chicago selection, it decided that the One Book, One Chicago festivities would go on for a full year instead of the customary one month. "It gives us a chance to stretch things out," explains library spokeswoman Ruth Lednicer. "It's a fascinating book. At first you're daunted by the size"—the book is a whopping 640 pages, larger than any previous One Book, One Chicago selection—"but it becomes engrossing very quickly." Though the book is about the experience of African-Americans who moved from the rural south to the urban north between World War I and 1970, Lednicer believes it will resonate with all Chicagoans. "It's a great starting point for a conversation," she says. "The Great Migration shaped Chicago. But we can also talk about what makes people pick up and leave what they know and go into the unknown. It's everybody's story, the hope of leaving for something new and better. It's created the tapestry of this city." 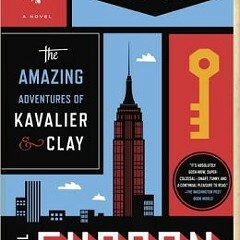 While the book was undoubtedly on the librarians' radar—these are not people who are unaware of good books, particularly ones that win tons of awards, as this one did—they received some special urging from Mayor Emanuel, himself the son of an immigrant, who read the book and was so taken with it, says Lednicer, that he immediately called up Wilkerson to tell her how much he liked it and then proved his love by purchasing copies for everyone in his family for Hanukkah. Lednicer hopes that the longer time span will give more readers than usual a chance to get involved with One Book, One Chicago activities. They'll have more opportunities, in any case. Each month, starting this April and going through next, the library will sponsor a talk or panel in the auditorium of the Harold Washington library, and smaller discussions and programs in the neighborhood branch libraries. Other institutions will be getting involved with special presentations and exhibits, including the Art Institute, the Chicago Cultural Center, and Blues Fest, and WBEZ will be hosting a series of community discussions of Black Boy by Richard Wright, the book from which Wilkerson took her title. In addition, StoryCorps, the oral history project, will be visiting branch libraries May through October to collect Chicagoans' migration stories. 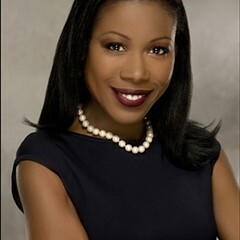 Wilkerson herself will be giving a lecture at Harold Washington on October 1. "She's very excited," reports Lednicer. "It's not Oprah, but still . . ."